As per sources, informal talks between the Congress party and AAP started on May 24, with Jairam Ramesh and Ajay Maken representing the former. New Delhi: As the battleground is getting set for the 2019 Lok Sabha elections, another Congress-triggered alliance against Prime Minister Narendra Modi-led Bharatiya Janata Party (BJP) has begun taking shape. 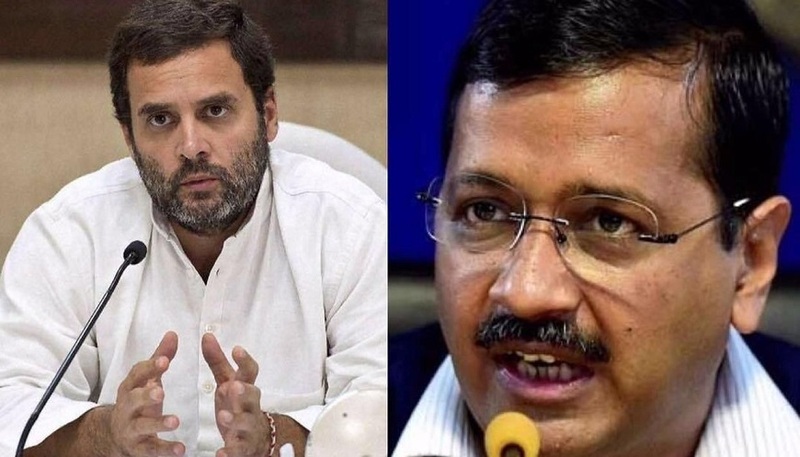 Mirroring the 'Mahagathbandhan' template of the Bihar assembly elections of 2015 and the recent Congress-Janata Dal (Secular) combine in Karnataka, the Aam Aadmi Party (AAP) and Congress are in talks of a similar alliance in Delhi. Source, who wished to remain anonymous for this article due to their proximity to alliance talks, further added that the AAP approached the Congress for the alliance, with an offer of a 5:2 ratio for seat sharing in Delhi-- five seats for the AAP and two for the Congress. The Congress party, however, demanded for three out of the seven seats, which are- New Delhi for Sharmishtha Mukherjee , Chandni Chowk for Ajay Maken and North West Delhi for Rajkumar Chauhan. However, talks may have hit a stumbling block as AAP is not willing to give up more than two seats to the Congress. The speculations about the rumoured alliance got a further boost after Delhi Chief Minister Arvind Kejriwal on Thursday praised former Prime Minister Manmohan Singh on Twitter. It is worthy to note that Kejriwal had earlier been a strong critic of Manmohan Singh going as far to say in 2013 that, "Manmohan failed to check corruption within Congress and his own government". However, BJP's ever expanding footprint in the country has now made once bitter foes, the best of friends. "People missing an educated PM like Dr Manmohan Singh," he tweeted. However, it is still not clear whether Congress president Rahul Gandhi has given a green signal to the party to work on the alliance.